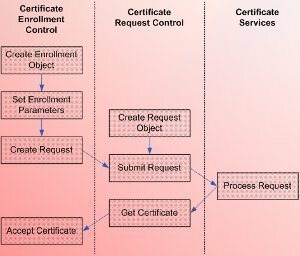 A protocol is a collection of specifications or rules for data packets that enable information to be sent over the network. Network protocols are designed for network communication. In order to understand the different protocols available and their efficiencies, lets first look at the Open Systems Interconnection (OSI) reference model. This is the standard model for network communication developed by International Organization for Standardization (ISO). The design of the OSI model is that of a stack of protocols. The different stacks of protocols operate together to transport data and enable network communication. Each stack has specific functions associated with it to transmit data over the network. Presentation layer: This layer in the OSI reference model deals with specifying the format which should be utilized to enable network data to be communicated between computers in the network. The presentation layer adds formatting, encryption, and data compression to the packet. It provides a common data format for the data that has to be transmitted over the network. Session layer: This layer enables applications that reside on different computers to create and close network sessions. It also manages open network connections, or sessions that are open. Transport layer: The transport layer is responsible for ensuring that data is delivered in sequence, error-free, and efficiently over the network. The transport layer also identifies duplicated packets, and drops them. Transport layer protocols include Transmission Control Protocol (TCP) and Sequenced Packet Exchange (SPX). These protocols open packets at the receiving computer, and reassemble the original messages as well. Network layer: This layer of the OSI reference model provides addressing for messages for all networks. It translates your logical addresses and names to physical addresses, and then identifies the preferred route from the source computer to the destination computer. Internet Protocol (IP) and Internetwork Packet Exchange (IPX) are network layer protocols. Data Link layer: The Data Link layer prepares data for the physical connection by defining the means by which software drivers can access the physical medium. The Data Link layer transmits frames from the Network layer to the Physical layer. Physical layer: This layer places the data on the physical medium which is carrying the data. It is responsible for the actual physical connection between two computers on the network that are exchanging data. Data is transmitted in packets through the different OSI layers. When the packet travels from the top layers to the bottom layers in the OSI reference model, information is appended to the packet to assist in delivering it to the destination computer. The protocols that provide packaging, and delivery of the data at the various layers, are known as the protocol stack. The protocols stack is a collection of protocols. When data is transmitted over te network segments, the data is being routed. 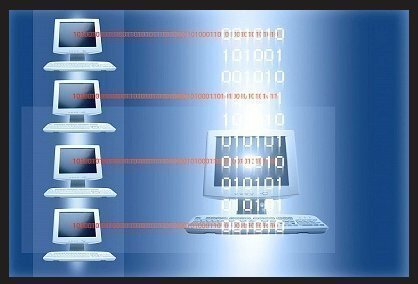 Transmission Control Protocol/Internet Protocol (TCP/IP) and Internetwork Packet Exchange/Sequenced Packet Exchange (IPX/SPX) are the typically utilized routing protocols. When the network is not segmented, non-routing transport protocols such as NetBIOS Extended User Interface (NetBEUI) can be utilized. The downside of having non-routable protocols is that network expansion becomes an issue when the network needs to communicate with other networks. There are also some protocols that only function at a specific layer in the OSI reference model. In this case, the layer that the protocols operate at typically defines the function of the layer specific protocol. The following section looks at how protocols operate together to transmit data over the network. As mentioned earlier, data is transmitted over the network in manageable portions, called packets. In addition to this, data is transmitted over the network in separate, methodical steps with each step having individual actions, and protocols. 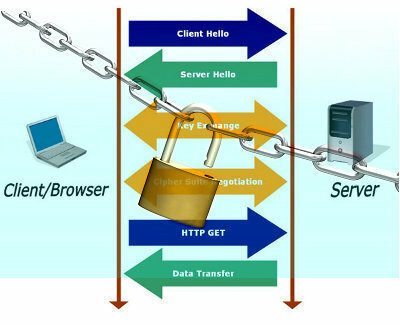 The protocol steps in the sending computer are carried out from top to bottom; and from bottom to top in the receiving computer. Segment data into smaller more manageable chunks or packets. Append addressing to the packets. Remove all information that relate to the sending of the packet. This is information added to the packet by the sending computer. Move the packets to the buffer for the reassembly process. Convey the data to the particular application. For the above mentioned process to be successful, each computer has to use the identical routable protocols. These are protocols that support LAN to LAN communications where data is transmitted from one LAN to another LAN through multiple paths. You can mix protocols with NICs to suit your networking needs. This is known as the binding process. The binding process can be defined as the manner in which protocols are connected to one another and the NIC. The binding order ascertains the order that the OS execute the protocols for a network connection. This order is used when more than one protocol is bound to the same NIC. APPC (Advanced Program-to-Program Communication) is typically used on AS/400 computers. The protocol operates at the presentation layer but also operates at the transport and session layers because APPC utilizes the LU 6.2 protocol. FTP (File Transfer Protocol), this is a internet file transfer protocol. NCP (Novell NetWare Core Protocol) and Novell client shells or redirectors is a collection of service protocols. SNMP (Simple Network Management Protocol) is also a internet protocol utilized for network monitoring. Telnet is the Internet protocol for logging on to remote hosts. Data is processed locally. X.400 is a CCITT protocol for sending international e-mail. X.500 is a CCITT protocol for file and directory services over multiple systems. Transport Protocols: These protocols manage network communication sessions between computers. The commonly utilized transport protocols are listed below. Network Protocols: The commonly utilized network protocols are listed below. DDP (Datagram Delivery Protocol) is an AppleTalk data transport protocol. IP (Internet Protocol) is used for packet forwarding and routing. 802.3 (Ethernet) is a logical bus network which transmit data to each network computer at 10 Mbps. With 802.4 (token passing), a token determines those computers that can partake in broadcasting data. TCP/IP is the industry standard suite of protocols that enables enterprise networking and connectivity in a heterogeneous environment. It is the protocol commonly used for interoperability between various types of computers, and can be used to access the Internet and its resources. The protocol is typically utilized as an internetworking protocol and because of its many features; the majority of networks support it. The TCP/IP suite is a routable, robust, stable, scalable and efficient protocol that offers a variety of features and advantages over IPX/SPX and NetBEUI. Because it is an open industry-standard suite of protocols, it is not governed y one organization, nor is it vendor specific. IPX/SPX on the other hand was designed by Novell, and is designed for NetWare’s architecture. Because of this, the protocol is not supported on all platforms. The TCP/IP suite also contains a set of utilities or applications for connecting different operating systems (OSs). This in turn ensures communication between different systems that are utilizing TCP/IP. TCP/IP has an architecture that can provide scalability. You can therefore expand or shrink the network to suit your current circumstances. The TCP/IP suite is also considered a platform-independent, cross-platform protocol. It also provides mechanisms for accessing data on different platforms. This makes it possible to integrate different OS platforms and hardware in the environment. TCP/IP is a routable protocol. What this means is that the protocol can reduce network traffic because it can isolate physical networks and logical networks. You can use IP addresses to determine the manner in which packets should move over the different segments in the networks. This makes it possible for you to more efficiently manage network traffic and direct transmissions. You can also utilize dynamic routing to reroute traffic if necessary. Non-routable protocols such as NetBIOS do not utilize addressing. You can only access the Internet and the World Wide Web through the use of TCP/IP. Through TCP/IP you can use the Internet to interconnect networks across the globe. Network interface layer: This layer maps to the Physical layer and Data link layer of the OSI reference model, and supply the interface between the network layer and Internet layer. Internet Protocol (IP): This is a packet-switched, connectionless protocol that provides connectionless packet delivery for the other protocols in the TCP/IP suite. It adds a header to the packet in order for it to be sent through the network, and deals with the packet assembly and disassembly process. Address Resolution Protocol (ARP): This is the protocol that maps IP addresses to its associated physical MAC address (hardware addresses). ARP broadcasts a request for the MAC address when the particular MAC address does not exist in its cache. The host that owns the IP address replies by sending its physical address to the requester. Internet Control Message Protocol (ICMP): This protocol controls the flow of data between routers. Internet Group Management Protocol (IGMP) provides multicasting capabilities. Transmission Control Protocol (TCP) is a connection orientated protocol used to establish and maintain a session or link between two hosts. TCP utilizes a three-way handshake to establish a communication session between two hosts. TCP actually guarantees the delivery of packets, and also makes certain that packets are transmitted in the correct sequence. User Datagram Protocol (UDP) is a connectionless protocol, and therefore does not guarantee that packets are delivered. UDP actually sends the data and then attempts to verify that the other host received the data. NetBIOS over TCP/IP (NetBT) is the standard interface for NetBIOS services. This is a protocol suite designed for communication among Macintosh computers. AppleTalk was developed by Apple Computer Corporation. From the Windows 2000 Server days, Windows included support for computers running Windows 2000 Server and Apple Macintosh clients to facilitate the sharing of files and printers. This is networking technology that transmits data in cells of a fixed length and is therefore best suited for voice, video, and data communications. A cell is a packet that has a fixed length. The ATM protocol provides a guaranteed of Service (QoS) on a LAN, a wide area network (WAN) and a public internetwork. LAN Emulation (LANE): This is the means by which protocols that understand connectionless media are able to hold communication over ATM. The LANE client enables LAN protocols to operate as though they are communicating with a traditional LAN, while the LANE services basically support LAN emulation. LANE services reside on a switch. IP over ATM can be used instead of using LANE. With IP over ATM, the ATMARP server maintains a database containing IP addresses and ATM addresses. The ATMARP server also provides broadcast services. ATM over xDSL (Digital Subscriber Line): This component provides high speed network access for small office and home environments. Native ATM access through Winsock makes it possible for applications utilizing TCP to access ATM networks via Winsock 2.0. This protocol was designed for IBM mainframe communications. It is commonly used to print to Hewlett-Packard printers which are directly connected to networks. A shortfall of this protocol is that it does not directly interface with the Transport Driver Interface layer. This is set of high speed, bidirectional wireless infrared protocols which enable different devices such as printers, portable and desktop computers, cameras and personal digital assistants (PDAs) to communicate between one another. NDIS connectionless drivers have to be used with the IrDA protocol stack. Intranode addressing, is the address of a process in a node. SPX on the other hand provides connection oriented, reliable servers at the Transport layer of the OSI reference model. The Microsoft implementation of the IPX/SPX protocol is NWLink. NWLink is utilized when clients running a Windows OS need to access resources hosted by NetWare servers. NetBEUI is a fast efficient transport layer protocol provided with network products. The protocol has a small stack size, small memory overhead and it compatible with all networks which are Microsoft based. NetBEUI is actually limited to Microsoft based networks. The major disadvantag of NetBEUI is that it does not include routing support. You therefore have to use bridges as opposed to routers when connecting computers running Windows and NetBEUI. Data security, integrity and reliability. Include the cost of equipment, implementation, training, management/maintenance, and possible expansion needs of the organization. Examine the scalability characteristics of the protocol as well. Determine how you are going to manage network traffic. Using routable network protocols makes it possible for broadcast traffic to be isolated. They also reduce the amount of data which your hardware needs to handle by eliminating duplicated packets. Determine the number of machines that are going to communicate on the different network segments, and the physical location of the machines. Microsoft Windows Server 2003 utilizes a layered network architecture that enables different protocols to communicate using the identical structure and methods. The protocols supported on Windows Server 2003 are TCP/IP version 6, TCP/IP version 4, IPX/SPX and AppleTalk. The utilization of multiple network adapters is also supported with Windows Server 2003. Each network adapter can also use a combination of protocols or networking components. This is known as binding protocols to the adapter. It is recommended to implement a DHCP server if your TCP/IP network has over 25 hosts. The DHCP server would enable you to configure host name resolution settings. DHCP would automatically provide the proper address for the hosts set up to use the DHCP protocol. Click Start, Control Panel, and then Network Connections. Proceed to double-click the particular local area connection you want to work with, to open the Local Area Connection Status dialog box. This opens the Internet Protocol (TCP/IP) Properties dialog box. Select the Use the following IP address option and enter the appropriate IP address, subnet mask and default gateway information. 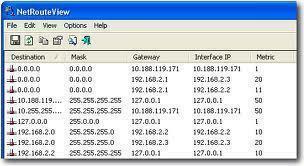 Select the Use the following DNS server addresses option and enter the IP address of the DNS server. When the Advanced TCP/IP Settings dialog box appears, configure the necessary advanced TCP/IP properties. Use the Adapters and Bindings tab to move the primary connection to the top of the available list. Choose a connection to display the bindings for a particular adapter. Choose the Internet Protocol (TCP/IP) beneath Client for Microsoft Networks and move it to the top of the list. Use the Provider Order tab to move Microsoft Windows Network to the top of the Network Providers list. 206 queries in 0.332 seconds.